The $99 premium Amazon Prime service keeps getting better. In addition to free 2-day shipping, access to a large video library, a grocery delivery service and more, Amazon Prime members now have free access to Amazon Prime Music, a new streaming music library that includes top artists like Blake Shelton, Daft Punk, Bruno Mars and Pearl Jam. 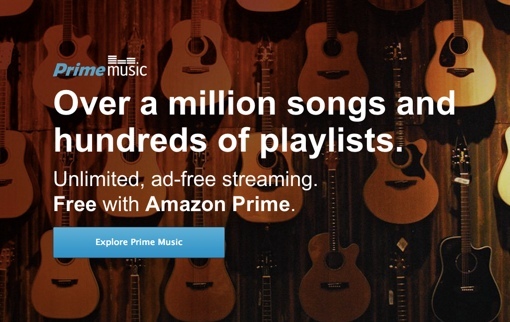 Prime Music is a terrific added benefit for Amazon Prime members, but don’t expect it to replace your existing streaming music service membership. Prime Music doesn’t have the right to play songs from Universal – a major issue considering how many artists are represented by the label. Ultimately, Prime Music’s 1 million song library (90,000 albums) definitely pales in comparison to the 20 million plus songs offered by both Spotify and Pandora. You can access Amazon’s new Prime Music offering by visiting primemusic.com. You can also get Prime Music on your smartphone or tablet by downloading the Amazon Music app on the Apple App Store for iOS or on Google Play for Android.